ATLANTA A North Carolina woman featured prominently in a graphic government ad campaign to get people to stop smoking died Monday of cancer. Terrie Hall died at a hospital in Winston-Salem, N.C., federal officials said. She was 53. "She was a public health hero," said Dr. Tom Frieden, director of the Centers for Disease Control and Prevention, which conducted the campaign. "She may well have saved more lives than most doctors do." A former smoker whose voice box was removed years ago, Hall took a leading role in the campaign that showed how smoking-related cancer ravages the body. Officials believe the "Tips from Former Smokers" campaign led as many as 100,000 Americans smokers to quit. 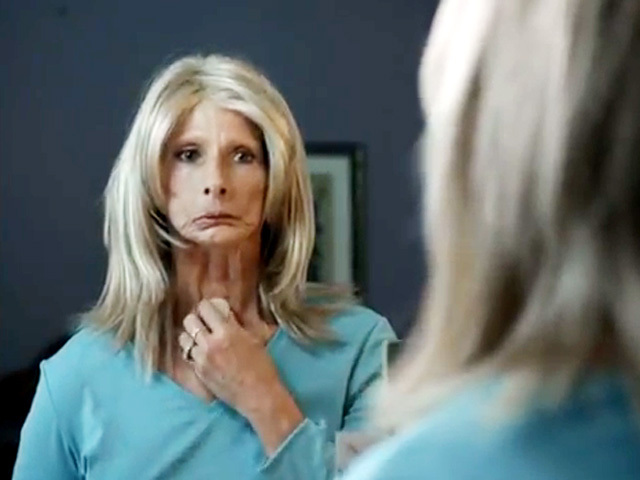 Hall's first ad showed her putting on a wig, putting in false teeth and covering a hole in her throat with a scarf. It was the campaign's most popular spot by far, receiving more than 2.8 million views on YouTube. It was the federal public health agency's largest and starkest anti-smoking push, and its first national advertising effort. In another ad, the Lexington resident addressed the camera in the buzzing sound of her artificial voice box. She advised smokers to make a video of themselves reading a children's book or singing a lullaby. "I wish I had. The only voice my grandson's ever heard is this one," her electric voice growled. Hall's oral and throat cancer was caused by the cigarette smoking she began in high school, CDC officials said. This summer, the cancer spread to her brain.